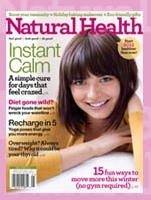 Natural Health magazine is priced at $2.99/year today courtesy of Tanga. Click on this link to Tanga and add it to your cart at $17.99. Then use promo code: HEALTH at checkout and the price should drop to $2.99. *you can grab the same deal on PARENTS magazine by adding the code PARENTS at checkout. Find a printable $1 off coupon HERE for pita chips from Kashi! Right now you can get 40 free prints when you register as a new member at yorkphoto.com! PLUS use the coupon code GETAWAY for an extra $10 off this deal! If this is your first time buying from EVERSAVE, you can get $3 off your save using SHARE as the promo code at check out! Travel the world’s aquatic interstate with today’s Groupon: for $39, you get a four-person Water World excursion from Manasquan Water Taxi in Brielle (up to a $108 value). Trips depart daily at noon and return at 2 p.m.
Eversave has a 1 Year Woman’s Day Subscription for $5. When you sign up for a new account and use coupon code WELCOME it brings the price down to ONLY $1. Check under Fort Meyers location. Or head over to Philadelphia and check out the $10 for two general admission tickets or $20 for a family four-pack deal. You will need to join if you haven't already. Welcome to the NEW DealPulp! Just this morning, we unveiled a brand new DealPulp.com, with new ways to shop and new ways to save. And to celebrate this big news, for a limited time only, we’re offering you a $5 OFF coupon that can be used towards your next DealPulp purchase. Just enter MOREPULPat checkout, and your discount will be applied. FIRE & ICE!!! Every Monday in July! Buy a spicy chicken deluxe sandwich or meal and get a FREE 14 oz. milkshake!!! Check out these deals through Southwest Airlines - 5 Days of Deals (7/10 - 7/14) at southwest.com. Local friends who have kids at Eastern Nazarene College might want to check into $39 fares from Philly to Boston! Back to school sales begin...sigh. If you head to the Target coupons you can print out the Papermate and Sharpie coupons to score some free ones from the new "back to school" displays. Pick up your Free 100 Pack Box of Sweet Purpose Stevia HERE on Facebook! You'll need patience, it is moving slow! Use Promotion Code EXTRA30 and PIN 2387 at landsend.com to grab 30% off already-reduced Swim, Beach Towels, Sandals & more! Seems a common sentiment that people love their bathing suits! At our last "Mom's Support Group" we received samples of Ecover dishwasher tablets. They worked great! Anyway, if you ladies who tried them, and anyone else who'd like to try them, want to print some coupons for this brand, you can find some HERE. Order an 11 oz. photo collage mugs for $3.90 at snapfish.com when you apply coupon code MUG70 at checkout!